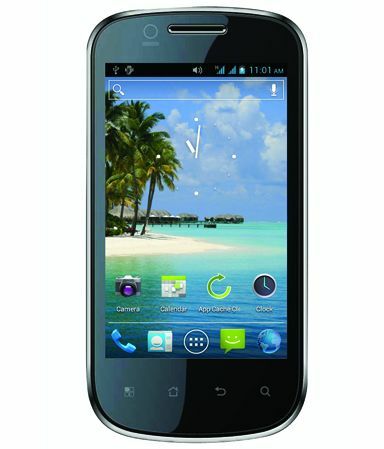 Videocon Mobiles Phones announced the launch of its new Smartphone, the Videocon A27. The Videocon A27 has 1 GHz Boadcomm processor, 4.0-inch WVGA Capacitive touch screen, Dual SIM-Dual Standby and 1500 mAh battery. The device is powered by Android 4.0 Ice Cream Sandwich. The phone comes with pre-loaded apps like TOI, ET, Facebook, Saavn, Fun Zone, Movie Studio etc. The Videocon A27 available for Rs. 5,999. The phone is available in Black & White color.